If you have a little bit of something related to Marion County, please send it to the county coordinator (email at bottom) for posting on this page. Besse Toulouse Sprague, Women's and Children's Hospital Association. Submitted by Melvin Temple Jr.
From Society of Montana Pioneers: constitution, members and officers, with portraits and maps. Montana: The Society, 1899. Red Rock, in Marion county, being built on the banks of the Des Moines river, was completely flooded and the few inhabitants were compelled to move to the higher land when the river began to overflow its banks. It was a steamboat station and a rival of Fort Des Moines in the very early steamboating days. Above the village there stands a huge cliff of red sandstone, guarding the approach by river, while below stands a similar cliff, keeping watch and ward over the sleepy village. It looks very much as if the river at some remote period had cut this great formation in two, leaving the remnants to emphasize nature's handiwork, as they stand there with polished sides, smiling or frowning as the sun or shadows rest upon their moss-grown faces. Nature is a tireless worker, and when there is a stupendous task to perform is never in a hurry. "A thousand years in Thy sight are but as yesterday when it is past, and as a watch in the night;" so the cutting of the channel through the solid rock must have taken a great many "yesterdays" as the God of nature reckons. Perhaps the task was not so great after all. The huge mountain may have been of soft material when the never ceasing current cut through its way; and then, by a miracle which occupied a few eons of time, the cliffs were hardened to stone. Were this stone as durable as beautiful, it would be the finest building material in Iowa. Do you know the reason why poison bottles must be labelled? The reason is that away back in 1867 a druggist's mistake cause the death of one of Knoxville's most charming young ladies and ended the marriage of one of this city's most prominent young couples. September 12, 1867, Lt. Melvin Stone, brother of W. M. Stone, was married to Caroline French, daughter of Dr. and Mrs. J. T. French. The young couple immediately made their home at Winterset. The girl-bride contracted a cold. Stone went to the druf store to secure some cough syrup. Through an error, the druggist filled the bottle with aconite, a deadly poison, giving directions that a teaspoon be taken as a dose. The supposed cough syrup was administered and within ten minutes death resulted. The heart-breaking tragedy resulted in a bill being presented at the next meeting of the state legislature which made it obligatory that all poisonous drugs be labeled with the skull and cross bones together with the word "poison" in bright red ink. 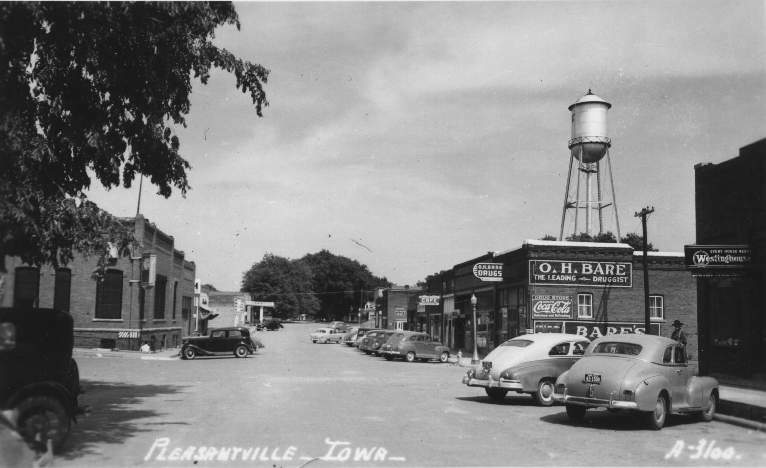 A postcard of downtown Pleasantville, probably from the late 1930s or early 1940s. UPDATE: 11 November 2007: Carolyn Hunter Baxendale (Austin, Texas) wrote, "I can date the postcard of the picture of the main street of Pleasantville. The second car on the right is a 1948 Pontiac that belonged to my parents, Cecil and Mary Hunter. I was 17 at the time they purchased the car new. 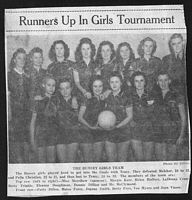 The picture was taken 1948 or 1949. 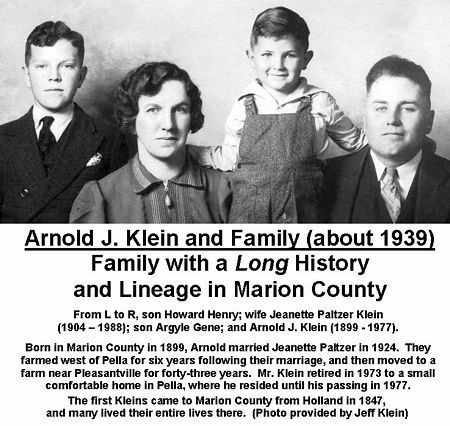 We lived on a farm about 5 miles north of Pleasantville." Knoxville, July 22. -- (Special) -- In what was supposed to have been a temporary fit of insanity, William Laird, residing near Attica, ten miles southeast of here, about 3:30 o'clock this morning killed Charles, his 14-year-old son and then turned the gun on himself with fatal effect. It is stated that Laird had asked his son to assist him in corralling his cattle which had broken from the pasture. The boy, however, did not get up and when the father returned, it is said, that he went to the room and deliberately shot the lad and then himself. Laird is said to have had considerable domestic trouble. Des Moines, July 22.--Because his son Charles, aged 16 years, refused to get up when called, William Liard [sic] shot and killed the boy as he lay in bed at Knoxville early today and chased the younger son to the home of a neighbor in an attempt to kill him and then turned the weapon upon himself with fatal effect. Liard was addicted to drink and had separated from his wife, the latter taking three of the children, leaving two sons with the father. 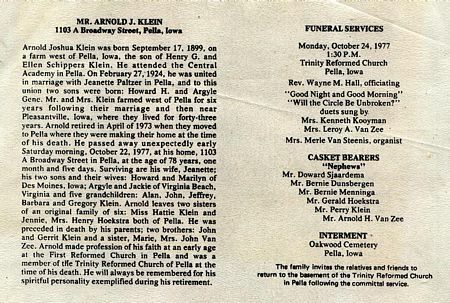 PELLA. Death - Personal and Social Gossip. March 13. Two deaths of aged residents of this township have occurred since my last writing. Last Saturday morning, Mrs. Jansen Van Dimselaar, after a long and painful illness at the age of about sixty years, breathed her last. She left an aged husband and several grown children to mourn her death. Sabbath evening, as the sun was setting, they laid her body in the bosom of mother earth. Wednesday evening, a Mrs. Comeen, living near the depot, a woman who had suffered much lately, also exchanged this world for the next. She and her family have only the last year been making their home here. They came here from Keokuk. She was also somewhere near sixty years of age. This afternoon her funeral is to be. Mrs. David Cassatt nee Fanny Homeo, at one time a resident of Pella but now of Pueblo, Colorado, is visiting her relatives here and at Eddyville, the present month. Mr. and Mrs. W. W. Gibbs, of Harlan this state, arrived here last Friday. They will remain here, as Mr. Gibbs come to assist his father-in-law, Mr. B. G. Bonen, in his store here. That is right. Pella girls, even if they think at times that they would rather live any other place than Pella, are rather glad whenever they have a chance to come back. Mrs. O. D. Post and daughter left here Tuesday for a visit with her relatives at Albert Lee, Minnesota. Orange is lonesome now. Mr. John Thomasson left again last Wednesday morning with his "lightning express" for Orange City. This time his passengers were A. Lenderink and family, consisting of six members. Mrs. A. E. Cotton left here one day last week for Newton, at which place she is still visiting. Mr. P. G. Gaas, of this city, who, the last few years, has been carrying a gripsack, first for Mr. Wm. Blom and afterwards for Kellogg, Birge & Co., of Keokuk, last Saturday quit the business, as he had too much of a good time of it the past winter during the heavy snow storms; he will now take a much needed rest for a few months, after which he may again take up some kind of business in our city. Rev. Cyrus Cort and family left for their new home in Pennsylvania this morning. The good wishes of many Pella folks attend them to their new home. Dr. W. H. Barker was at Davenport this week attending the Dental Convention in session there. Mrs. Bach of Oskaloosa, mother of Mr. L. Bach of this city, is here this week paying her son a visit. Since Mr. Geo. P. Sheesley has given up being the editor of the Visitor, he has been holding another important office, and it is Constable Sheesley now. To-night occurs the third tournament contest of A.O.C.A. at the Baptist church. Eight contestants are to participate, Mrs. Rev. Thickstun, Mrs. Prof. Prouty, and Mr. J. A. Rice are to be the judges, and good music is to be furnished by the Misses Lillie and Mary Viersen, Miss Nellie Cassatt, and the Misses Hattie, Cory and Jennie Snow. Mr. T. J. Edmund was about a month ago called to Charleston, Illinois, on account of the severe illness of his aged mother and has not yet returned. His mother died while he was there, and since then his sister has been taken ill, so that he has not been able to come away at all. To discredit the leaders of the Seceders in The Netherlands in the 1840s, it was brought to the attention of the people of The Netherlands in the form of a series of malicious cartoon-type drawings. This kermisprent was printed in Tiel in 1846. The title of the cartoon panels was "Sad Relation of the Miseries of a Journey of Spiritual Emigrants to the New Utopia." Fifteen pictures illustrated some of the stories about America. It seems that at that time some immigrants, especially Germans, had failed to make a living in the woods and prairies of America. Stories of these failures reached the all-too-ready ears of critics in The Netherlands, and the cartoons resulted. Even before the emigrants had left the shores of The Netherlands, an anonymous pamphlet entitled "Farewell Greetings" was published. It said that schism was always unchristian and was contrary to the Bible, using 1 John 4, the first two verses. "Beloved, do not believe every spirit, but test the spirits to see whether they are of God; for many false prophets have gone out into the world. By this you know the spirit which confesses that Jesus Christ has come in the flesh is of God." The anonymous author deplored the drastic policy of the state and declared he championed the Seceders' freedom. However, he could not "stomach" Scholte and spurned his motto, "In unity lies strength." Said the anonymous writer, "let him go to the magic land of freedom which sets such store on unbelief and fanaticism." Fortunately, Scholte was not deterred by any of this negative attitude, nor were four shiploads of his fellow compatriots who made the venture to America. 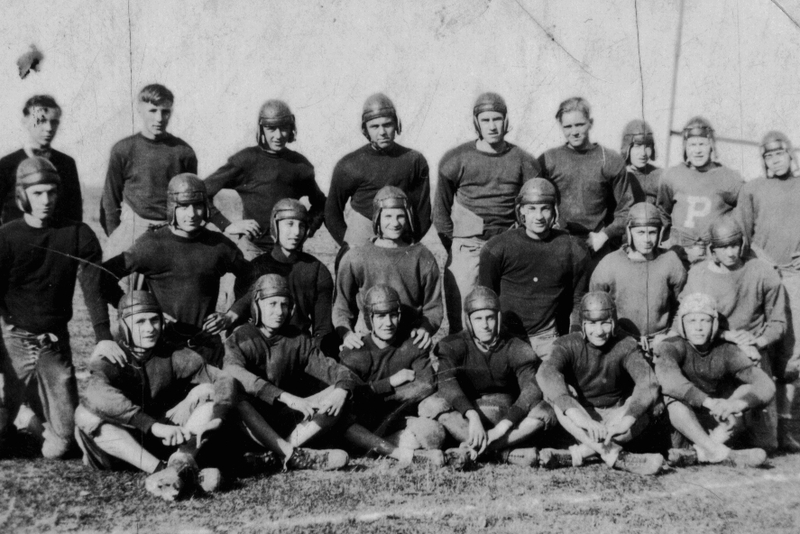 Van Raalte had already taken his followers to Michigan, and other leaders went elsewhere. Perhaps the anonymous writer and the kermisprent cartoonist suffered from what we could term "the sour grape syndrome." In unity there was strength! One of the many fascinating little curiosities in the Netherlands is the spionnetje, spiegel or spy mirror. This mirror is mounted either on or in close proximity to a window frame. In appearance it is much like a side view mirror which enables people to watch what is going on in the street outside. People living in upstairs rooms can view activities below as well as beyond on the street. These mirrors provide entertainment but are also quite effective in projecting one's isolated self into the mainstream. When pondering the gadget's practicality keep in mind that the houses in the cities are high and narrow and that the spionnetje or spiegel are of special interest to an older generation interested in keeping tab of the neighborhood's activities. This interest is not uniquely Dutch ... we all have an innate curiosity in that respect. One of the curiosities in Pella was a decorative portion of a building built on the square by a rather eccentric woman at the turn of the century. She built her own version of a lookout where she could see the activities up and down Main Street and across the street into Central Park Square. This interesting appendage also allowed her to view any person who owed her money and she would, legend says, tell that person about their being in arrears in a loud voice to be heard by others on the street. You can view this private"I Spy" nook on the east side of the square above Van Berkums Appliance Store. The movement for the increased endowment of Central college at Pella, which was to have been completed by June, has brought the required sum, $26,000, seven months before the time planned. In addition to this conditional pledges have been made that will bring the amount up to $50,000 by next June and also secure a president's house. The classrooms are overcrowded with students, and the board of trustees is to meet soon to plan new buildings. the plans are to remodel the main building by adding wings and christen it Memorial hall. According to the Harvey News a Marion county woman died recently and left an estate of seventeen cows. To the eldest son she bequeathed one-half, to her second son one-third, and to her youngest son one ninth of the estate. The executors were sorely perplexed as to how to divide the cows. At last some one suggested that they borrow a cow from a neighbor. This was done and the estate was thus made eighteen cows. The first son received his one-half or nine; the second son his one-third or six; the third son his one-ninth or two, making seventeen cows in all. The neighbor's cow was then returned with thanks. Knoxville - Two persons were injured and several houses and barns were demolished at Pleasantville by a small tornado which hit the outskirts of the town. Mrs. Robert Hicks was knocked down and slightly bruised when she and her daughters attempted to seek shelter in a storm cellar. Mrs. Bruce Benge also was slightly injured when her home was twisted off its foundations by the storm. The residences of Charles Lyon, C. Speed and Leonard Mohler were damaged. Knoxville - The report is being circulated around Knoxville that the inebriate hospital here will be closed some time in the next few months, and that the institution will be changed into a hospital for the insane, as the four hospitals in the state now used for that purpose are very badly overcrowded. "The names were written on the back in my father's handwriting. I hope I transcribed the names correctly. Some were hard to read." 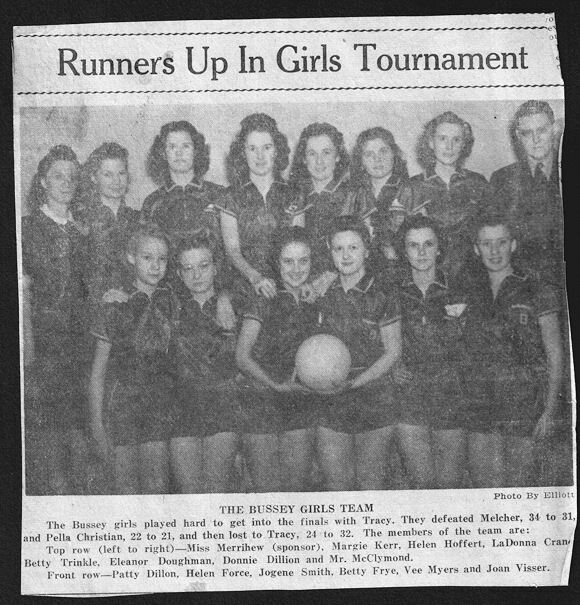 -- C. L.
Bussey Girls' Basketball Team - Click on the image to enlarge it and identify the girls. Marion county in its history has been the scene of not a few wild escapades due in some cases to bad politics or the dominant political party and in others alone to individual perversity and innate depravity. Among the latter there was one widely known for his many unlawful acts in the political line. 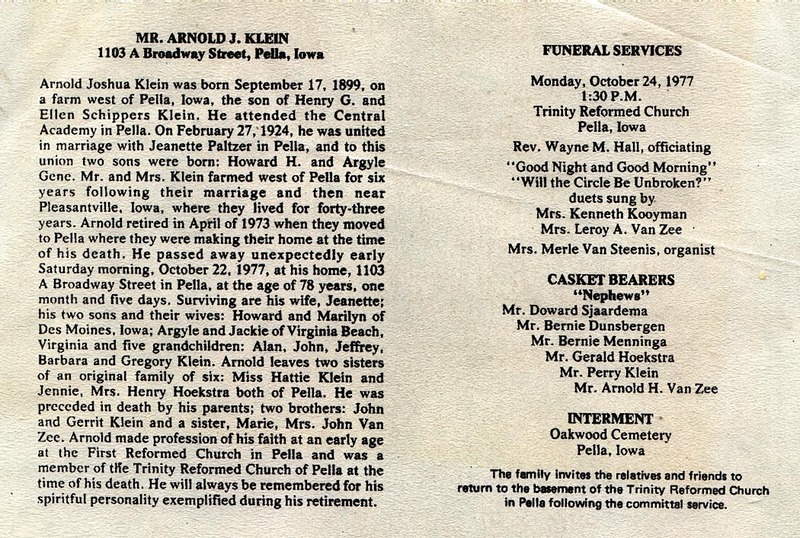 Nick Earp, as he was locally and familiarly known, was for some time a resident of Pella during the years just preceding the Civil war. He was an ex-Mesican soldier. He was what was known in those troublesome times, a democrat of the southern fire-eating stamp and was made the tool of his party for all kinds of chicaney [sic] and meanness. Nothing was too low for him to attempt. At all political huntings and gatherings, dressed in his old Mexican army uniform, he made his appearance and was made the hero of the occasion by his party, and they used him liberally to carry out their nefarious schemes and plottings. As a sample of his work, let the following show. At a grand rally of the republicans held at Pella in the Lincoln campaign, there was an immense assemblage both during the day and night. From Jasper, Marion and Mahaska counties came at night large companies of the "Wide Awakes" in uniform and with torches to join a night parade. This parade was highly spectacular and was joined in by large numbers of the uniformed Wide Awakes. At its very height, when the marchers were concentrated in their closest capacity, there came hurling into their midst a deadly missle. It struck, and instantly felled to the earth, one of the marchers with a ghastly gash in his head. This stone, sharp and ragged to do effective injury, had been hurled by Earp. He has secreted himself in the dark shadows of the buildings on the west of the square from whence he hurled the stone. The marchers instantly broke ranks and sought out the perpetrators of this foul deed. He was captured, but being a giant in strength, he broke away from his captors and escaped, only to continue other miscreant acts. He was the father of several sons. They all went west after the Civil war, where the family acquired a national reputation for deeds of daring, some of them in line with law and order and justly commendable--but not quite all. The Earp family is in Lake Prairie Township in the 1850 and 1860 censuses. Nicolas Porter Earp was born in North Carolina, his wife Virginia in Kentucky. Sons Newton, James, and Virgil were also born in Kentucky. Martha and Wyatt were born in Illinois, and Morgan, Warren, Virginia, and Addie in Iowa. The family was still in Marion County in the first half of 1864 because Nicolas had a tax bill for 93 cents. They do not appear to be in Marion County after that, although there are other Earp families, primarily in Jasper County. "I am working on the Van Mever(en) family just now. In the Marion County marriages for 1852 it shows Peter Fox married a Wilhemina Van Merer on October 29, 1852. He should be Peter Vos, and her last name is Van Mever(en). Then he may have died and she remarried to a Jan (John) Blom, that is on the 1858 marriage pages. She is shown under her married name as Willempye Vos, but she was a Willempje. "Van Mever was their name in the Netherlands, but after arriving here it became Van Meveren in later years, it still is in some census records as van Mever, and spelled many different ways. "These spellings are always a challenge." Greta: They certainly are! I've made the corrections on the marriage pages (see Index at http://iagenweb.org/marion/vitalRecords/marriageRecords/1852marrbygroom.php). If anyone else has noticed spelling errors, please send them to me.